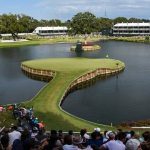 European players won three events worldwide on the weekend against pretty strong fields, which may suggest for now at least that the projected dominance by the Americans in the Ryder Cup may be in doubt. What’s your take? 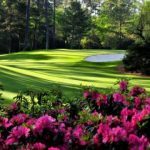 Jim Deeks, Fairways Magazine (@jimdeeks): As H.L. Mencken used to say, in answer to unanswerable questions (or colossal bores), “you may be right.” I think the Ryder Cup has now proven itself to be unpredictable, which makes it one of the great sporting events in the world. If you could take out the obnoxious, jingoistic American “kill” attitude, it would be on a par with the World Cup for competition value alone. Craig Loughry, Golf Ontario (@craigloughry): Boy, do I like the Euro’s chances this year. And no offence to the American team but the Euro’s definitely get the edge in personalities too, which just may be a deciding factor. It is shaping up to be a pretty good duel, which is badly needed. It would be great for this event to come down to the last day and the last match or two, no matter the players involved. But let’s hope they’re household names. Dave Kaplan, Freelance Writer, (@davykap): I don’t think the Americans’ dominance over the International squad last year is in any way indicative of how the Ryder Cup is going to unfold this year. The International squad was not exactly a superstar-filled roster and the beatdown that ensued was pretty much expected. The Europeans, on the other hand, are no pushover. 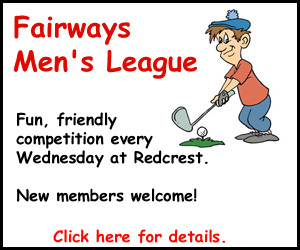 They are going to have a team this year that is brimming with young talent (Tommy Fleetwood, Thomas Pieters, Jon Rahm and Tyrell Hatton) and savvy veterans (Rory Mcilroy, Henrik Stenson, Justin Rose, and, hopefully, Sergio Garcia). 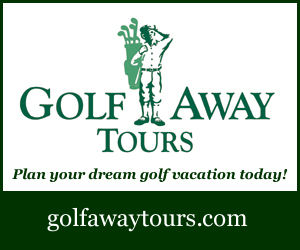 Plus, they are going to have a home-course advantage on the extremely difficult Le Golf National in France. I certainly wouldn’t be so cocky if I were the Americans. Michael Schurman, Master Professional / Life Member, PGA of Canada: It isn’t just the European players who are taking a place on the world stage. The Asian players, particularly the Ladies (currently), are a force to be considered and the men are slowly gaining prominence. Although the question didn’t ask, also take note that Canadian players are starting to appear on the money lists around the world and on the PGA Tour. As for the Ryder Cup, with any luck, it will be an even bet without a dominant favorite and come down to the last putt. Hal Quinn, Freelance Writer, Vancouver: Just wondering how many ‘around his neck’ headlines are going to come out of the Cup at the Albatros Course at Le Golf National. Nine months out may be just a bit early – like eight months – to predict but the guys and gals from what used to be Fleet Street will have a few. Certainly the Euros had a good weekend in what is still the preseason, but if anything, it only activates the faint hope clause. 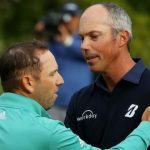 Peter Mumford, Fairways Magazine (@FairwaysMag): In a little over a year, some of Europe’s 2016 Ryder Cup rookies have blossomed into world class players and moved well up in the World Rankings. 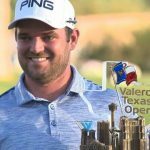 To make room for them, some of the American players have fallen back and a few are nowhere to be found on Sunday leaderboards or podiums. Of course, the 2018 Ryder Cup is still months away and a lot can change but at first blush the upcoming contest in France looks a lot more balanced than pundits were suggesting after the shellacking at Hazeltine. 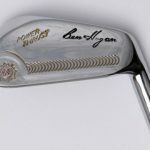 The PGA Merchandise Show is on this week in Orlando. Lots of so-called new products will be presented, many of which are just old products with a new coat of paint. Can you think of one truly revolutionary product that golfers need? Deeks: I’m not at the Show, so can’t comment on what’s being presented. However, kilties for golf shoes would be a nice, new, revolutionary innovation. Come to think of it, someone should invent tassels for street loafers, too. 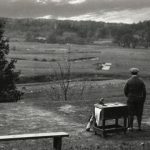 Loughry: Square Strike Wedge anyone? The Perfect Club? No, I can’t think of any product that hasn’t already been thought of or tried. I do like seeing new stuff though, just for interest sake, but I never buy it and wonder who does? Kaplan: Lol! If I knew the answer to that, I’d be rich! I’d like a trackable golf ball with Bluetooth technology so I would know exactly where it is when I mishit shots into the fescue, but I think a tracker of this sort would be unrealistic because of the aerodynamics issues that it would cause. I’d settle for a really comfortable carry-bag with excellent straps that doesn’t cost over $250. Schurman: A James Bond type of watch! As soon as your playing partner’s club makes contact with their ball, the ‘away’ player’s watch begins to tick. If they haven’t played within 40 seconds their ball explodes. Quinn: The new clubs that I’ve tested and/or put in the bag the past few years have been anything but paint jobs. The guys in the lab coats are doing amazing things using incredible technology and engineering. Can’t count the times after hitting a shot I’ve turned to club reps — and in one case Roger Cleveland himself after trying his Mack Daddy Callaway wedges — and said: “That’s cheating.” When I gave myself a dozen Chrome Soft for Xmas, I never thought that a better Chrome Soft would arrive within a month. But, based on how good the original is, there’s no doubt the Callaway guys are on to something. (It’s called graphene, an atomic scale honeycomb lattice). I thought Game Golf was revolutionary for telling golfers how far they hit each club, not how far away the target was. Now, with the new Game Golf Pro, you don’t have to tap the end of the club to the monitor on your belt to register each shot. (I loved it but missed a few taps, and ended up shooting a lot of rounds in the 50s.) We’re way past the shag bag era, so this revolutionary technology is what golfers need to know how far they really hit it and not the 19th hole version. That would not only improve any player’s game, but also speed up play. Mumford: I’m at the Show and haven’t seen anything “revolutionary” yet. 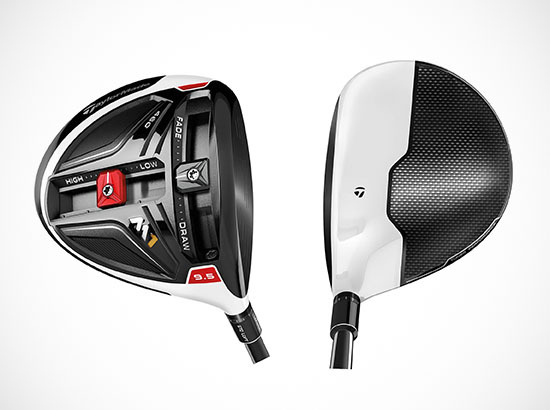 TaylorMade’s new Twist Face technology is pretty cool and indeed does work, although the name sounds more like a Batman villain than a golf club. Personally, I’d like to see a technology that can get your rain gear on really fast with a simple voice command like Iron Man. 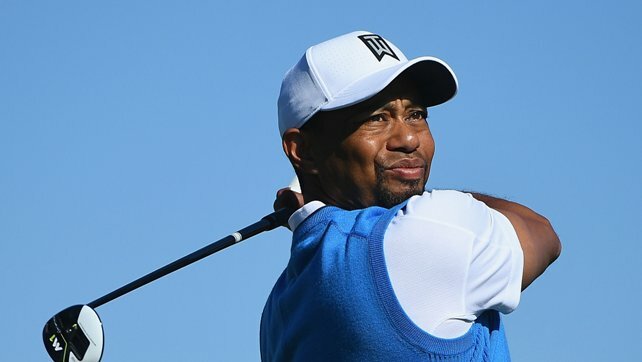 Tiger Woods returns to action this week at Torrey Pines. What are your expectations? 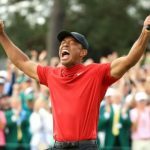 Deeks: I expect higher ratings for the broadcast… followed next week by a slew of articles in golf publications featuring one of the following three themes: “Is Tiger finished?”… “Tiger: On the Road to Renewed Glory?”… “Tiger: Masters Contender in 2018?” Followed by a yawn from Yours Truly. 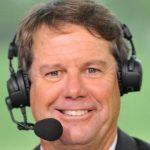 Loughry: Tiger will win, it’s Torrey, he owns this place! OK, so realistically, I say he makes the cut, scares the top 10 at various points in the tournament, but finishes comfortably in the top 25. For me this will be a decent barometer to measure him for Augusta. It’s a place where he’s won many times and knows like the back of his hand. This is his warm blanket. If anyone says they won’t be watching, they are LYING. I’ll be glued to the event, and millions of additional eyeballs will be too. Kaplan: On any other course this early in the season, I would say he’s 50-50 to make the cut. But on Torrey Pines, where he has won 9 times (8 times as a pro and once as a junior), Tiger is ALWAYS a good bet to contend. I don’t expect him to finish on the first page of the leaderboard (although he might shock us yet), but I would not be surprised if he stays in contention through the first 36 or 54 holes and finishes the week inside the Top 25. Schurman: I am not a surgeon and I really don’t understand medicine but nature has its own rules. In a normal spine each vertebrae has a job and is designed/built to do a job. If you fuse one of them, is the next successive one strong enough to withstand the work load of the one taken out of the ‘line-up’? In spite of his monumental record, Tiger relishes playing the underdog and accomplishing things to prove people wrong. He has a new swing method that will make him a better driver. He was always a great iron player. Three questions arise: 1. 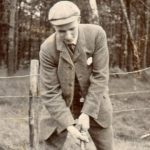 Has he solved his short game woes? 2. After such a prolonged period without competition, can he still make the ‘must’ putts? 3. He is one of the greatest players of all-time in every department including ‘good bounces’. Will he continue getting them or has he had his quota? He has a lot of baggage but don’t bet against him. Quinn: To be consistent – a trait I think is highly overrated – making the cut would be a moral victory, an adjective not used often concerning Eldrick. 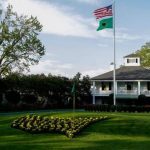 But I do expect and will studiously avoid the over the top slavering by the TV talking heads – except Chamblee – that will dominate the Golf Channel’s so-called ‘coverage,’ at least for two days. Mumford: Tiger’s always talking about needing more reps. That was to get his swing into shape but his mental game may also need a few tournaments to be PGA Tour ready. Tiger always has super high expectations for himself so anything less than perfection may be frustrating for him until he can balance expectation with reality. I predict he’ll make the cut this week but won’t be happy about it.